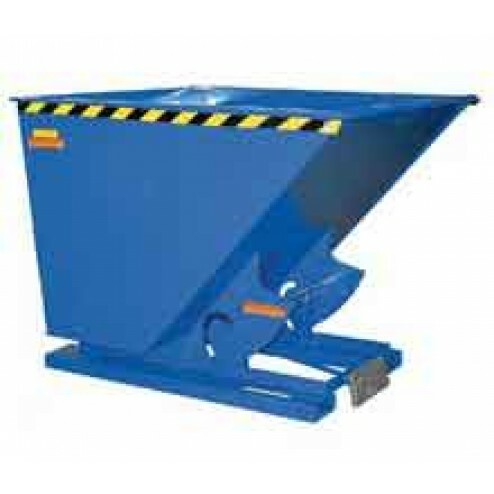 A light duty hopper featuring a maximum capacity of up to 2000 lbs. and a hopper volume of 3 cubic yards. After hopper empties it automatically returns to an upright locked position. The Vestil D-300-LD Self-Dumping Hopper features 28" fork pocket centers.